Enhancing financial inclusion of women is one of the priority areas for the sustainable growth of country’s economy. In an effort to improve access to finance for women entrepreneurs in the underserved areas of the country, the bank is offering a finance facility on concessional terms and conditions for setting up of new businesses or expansion of existing one. 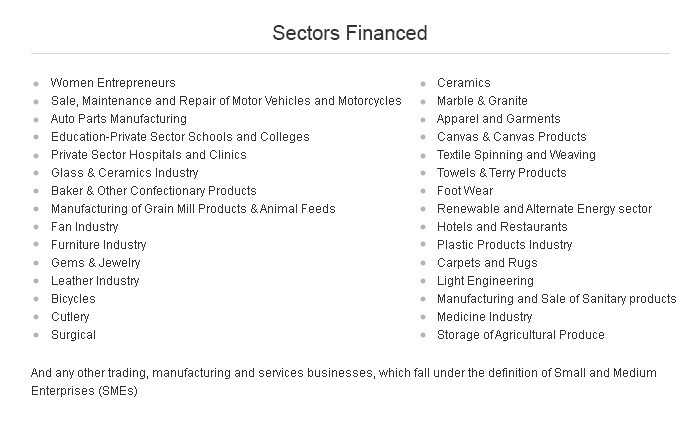 Financing is available in all sectors of SMEs for women in underserved areas like Jhang, Peshawar, Sargodha, Sahiwal, Multan, Khanewal, Sukkar, Ghotki, Dera Ghazi Khan, Bahawalnagar and Baluchistan. Maximum financing limit is Rs 1.5 million. Repayments through equal monthly instalments.